1337 Ventures has selected 10 Malaysian startups to invest into and accept into their accelerator. This comes as part of the Khazanah Nasional Entrepreneurship Outreach (KNEO) programme. Many of the teams selected are social enterprises and non-tech startups. 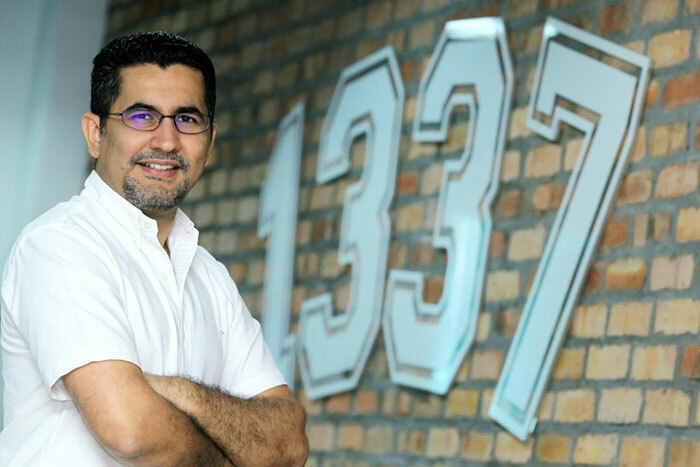 1337 Ventures CEO Bikesh Lakhmichand attributed the selections to a focus on solving real-world problems, and noted plans to integrate this more into their other programmes. 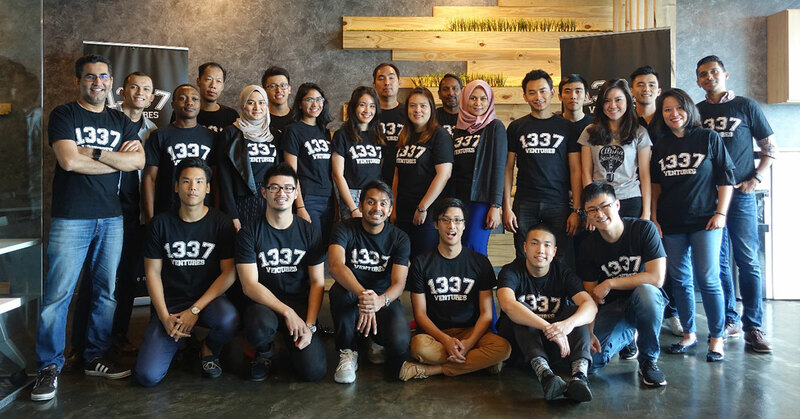 As part of the Khazanah Nasional Entrepreneurship Outreach (KNEO) programme, early stage venture capital firm 1337 Ventures announced last week their decision to accelerate and invest into 10 local startups. The 10 startups selected by 1337 Ventures were part of a group of 30 finalists filtered down from a pool of nearly a thousand applicants in the KNEO programme. They are comprised of BESC, CTHhelp, GrubCycle, Foodbike, Resermy, Save4Dream, Malaysian Aquaponics Research Center, Sync, Unwrappd, and Kravve.co. Joining the accelerator programme, these startups will receive a cash investment of RM20,000, US$15,000 in Amazon Web Services credits, $20,000 worth of Google Cloud and Firebase credits, and US$120,000 in Microsoft Azure credits on top of the support and mentoring provided by the 1337 Ventures team. Each team will go through a mentorship programme with 1337 Ventures that will last 12 weeks. The programme will then culminate in a demo day where the teams will be presented with the opportunity to present their concepts to a panel of judges and investors for the chance to win an additional amount of funding from both Khazanah and 1337 Ventures. “We’re really excited to be working with this batch of diverse companies, ranging from tech, non-tech, and social enterprises. The level of startups we see in Malaysia is significantly improving,” said Bikesh Lakhmichand, CEO and founding partner of 1337 Ventures. It’s worth noting that among the 10 selected startups, many were social enterprises and non-tech startups—a deviation of sorts from the past trend of tech-focused venture funding. Explaining this, Bikesh cited 1337 Ventures’ focus on working with companies to develop solutions to real world problems as one of the key factors that influenced the selection process. “We are always keen to work primarily with ideas that solve real problems and many of the social enterprises and non-tech startups had this close to their heart,” he said. He explained that in the current startup landscape, utilising tech as a supporting component to the execution of an idea is vital. Bikesh also identified the common trait that distinguished the 10 selected startups from the rest of the pack. Speaking on the growth of the startup scene in Malaysia, Bikesh observed how more private sector players were making their way into the scene. “More and more corporates are trying to transform and become more ‘digital’, and one of the common reactions to this is to launch an innovation department or accelerator programmes of their own to seek out startups to invest, co-create, or even acquire,” he explained. As for their next port of call, Bikesh said that 1337 Ventures is actively pursuing ways to scale, with a particular focus placed on funding and upgrading their Alpha Startup pre-accelerator programme. “We have been working on digitising the programme so that anyone would be able to undergo the five days worth of content at their own pace and then apply for our early stage funding,” he said. For more information, check out the official websites of Khazanah Nasional Entrepreneurship Outreach (KNEO) and 1337 Ventures.